Who says something delicious has to be difficult to make? OK, so there are lots of complicated recipes and cooking techniques out there that yield terrific results, but let’s face it, most of us don’t have the talent or time to make this stuff. At Christmastime I love to bake, and there is one thing I like to make that tastes so good and takes hardly any time to make. I usually make these right after baking a batch of cookies because I need the oven, but only for an additional two minutes. Yes, you heard me, two minutes. 1. Line a baking sheet with parchment paper. This is very important, especially if you don’t want to wash the pan. If you don’t mind washing a pan this isn’t necessary. 2. Place the Snaps on the lined pan. I like to put the salted side up because I’m a little OCD. 3. 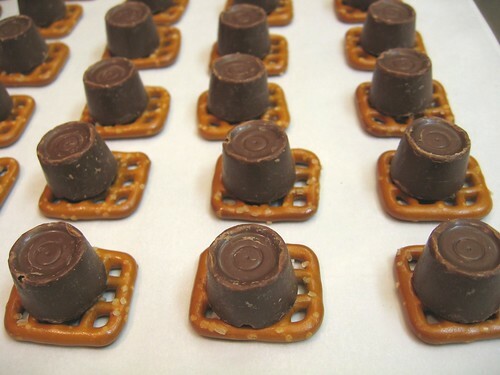 Place one Rolo on top of each Snap. 4. 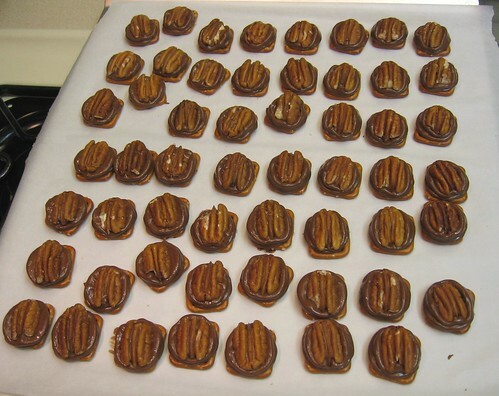 Place pan of Rolo/Snaps in a 350-degree oven for two minutes. 5. Remove from oven. 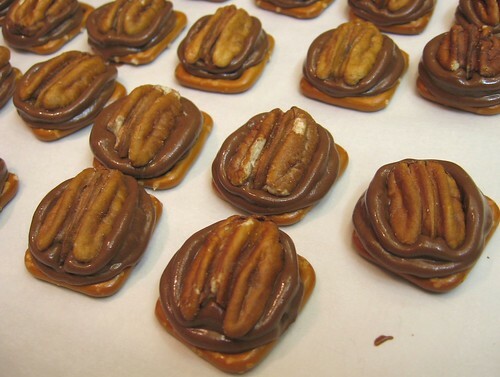 Take a pecan half and squish it into one of the semi-melted Rolo/Snap things. Repeat with remaining pecans. 6. All done. Let set at room temperature until the chocolate is done being melty. 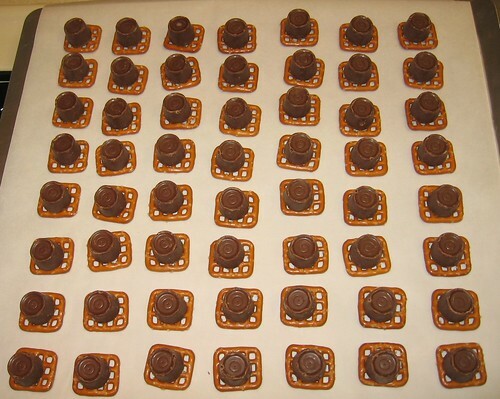 Once the chocolate is set up you can store them in a cookie tin or sealed plastic container. They’re great treats to take to the office Christmas party or to give as little presents to teachers or neighbors or the mailman. Oh, and another thing, what if you don’t like nuts? (Charlotte, I’m looking at you.) Instead of topping the melty Rolo with a pecan, top it with an M & M. Nut-free and just as delicious. Enjoy!